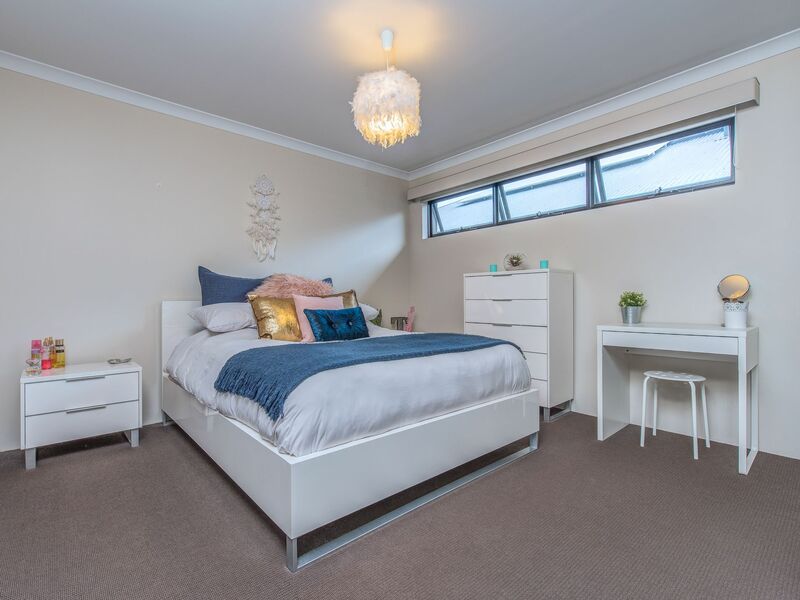 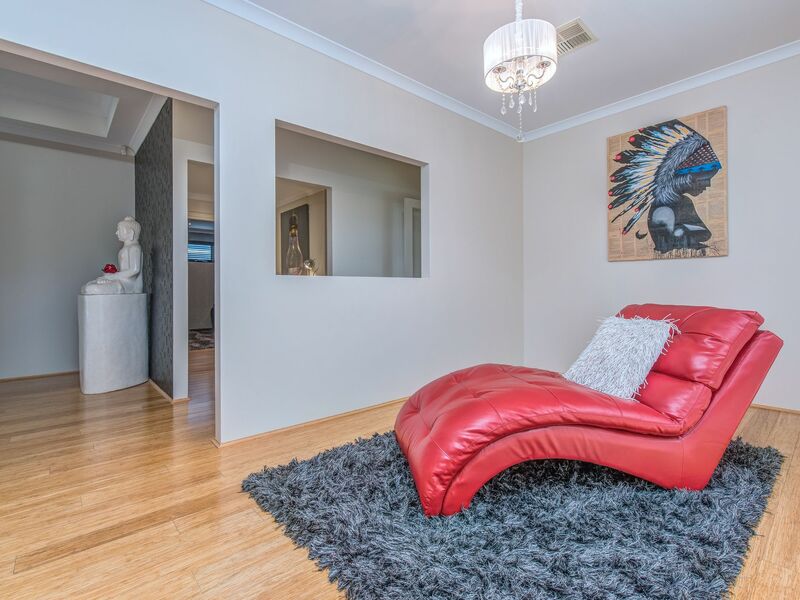 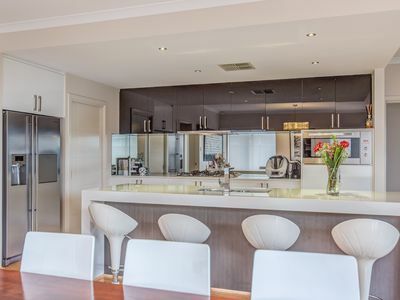 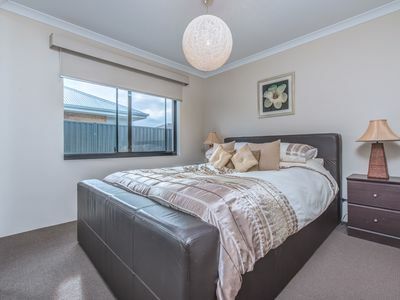 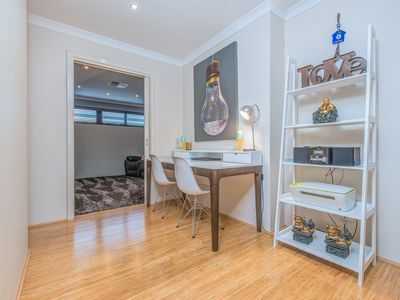 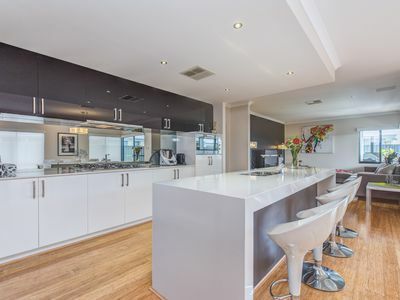 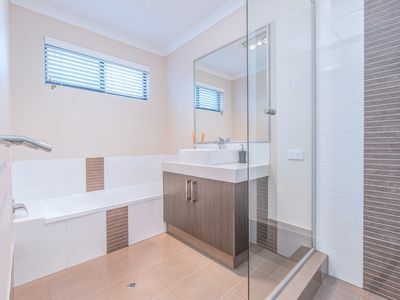 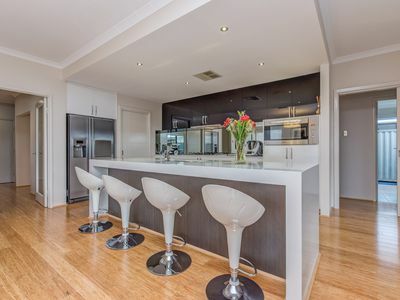 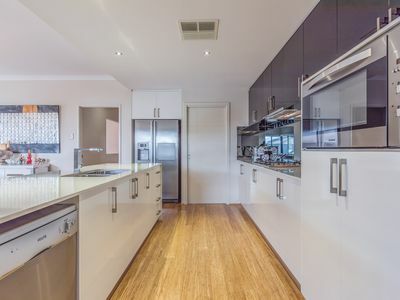 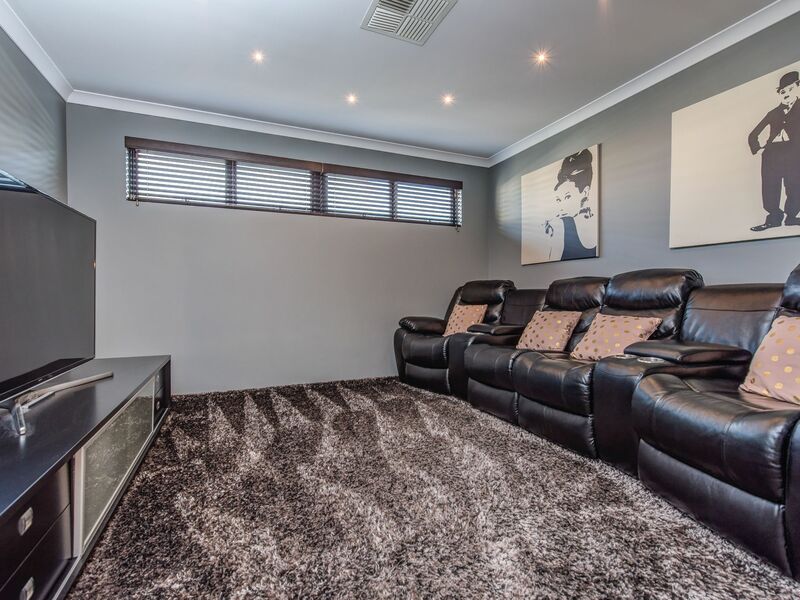 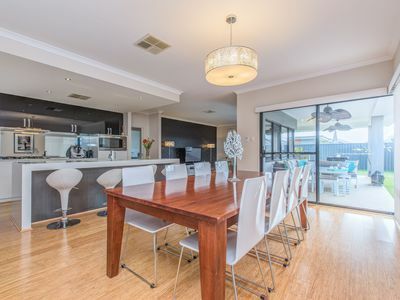 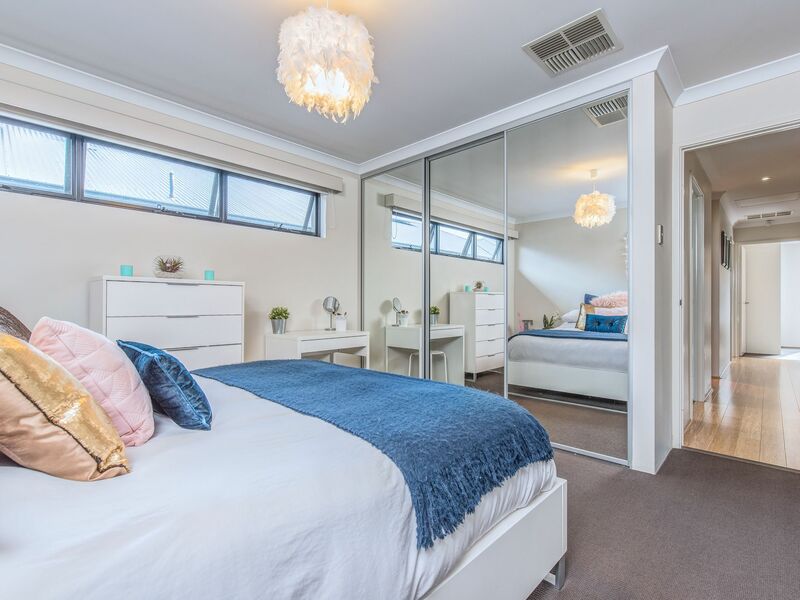 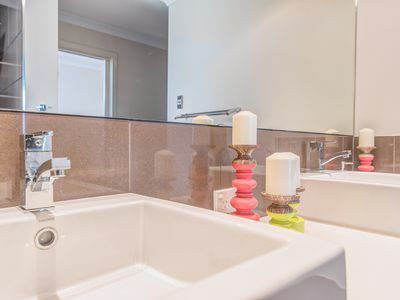 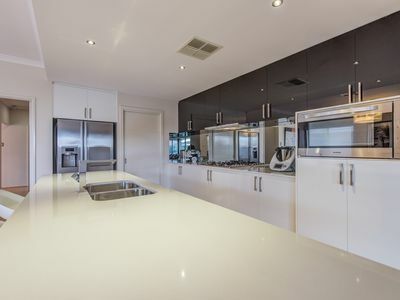 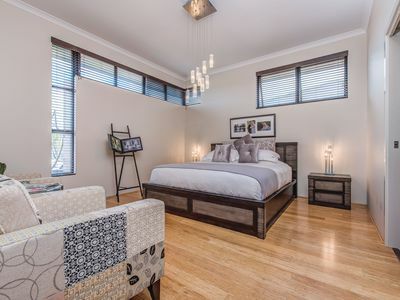 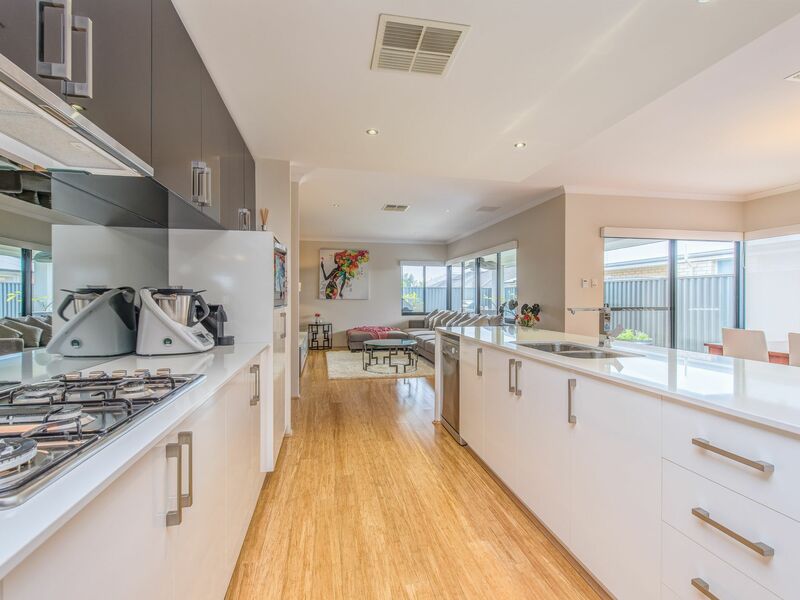 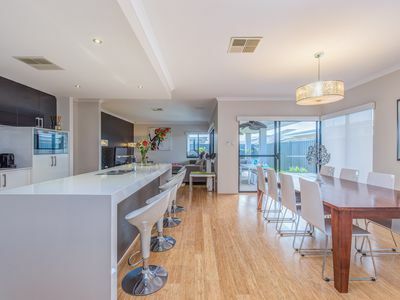 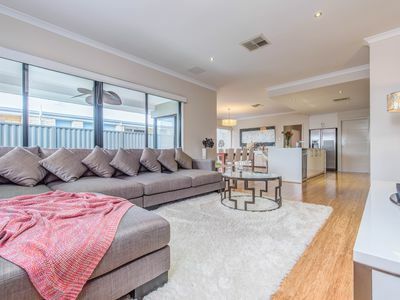 Located in the prestigious Vertu Private Estate this stunning and well-appointed family home is surrounded by an array of pristine parklands and within easy walking distance to the highly regarded Carey Baptist College and the beautiful Timber Cafe. 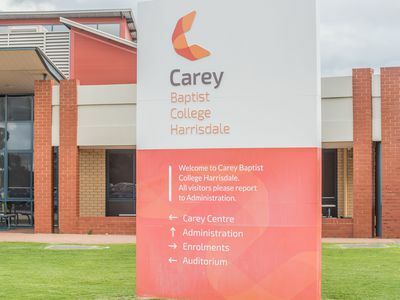 Not far to the highly regarded HARRISDALE PRIMARY AND HIGH SCHOOLS and just around a few corners to our fabulous NEW Harrisdale Shopping Centre. 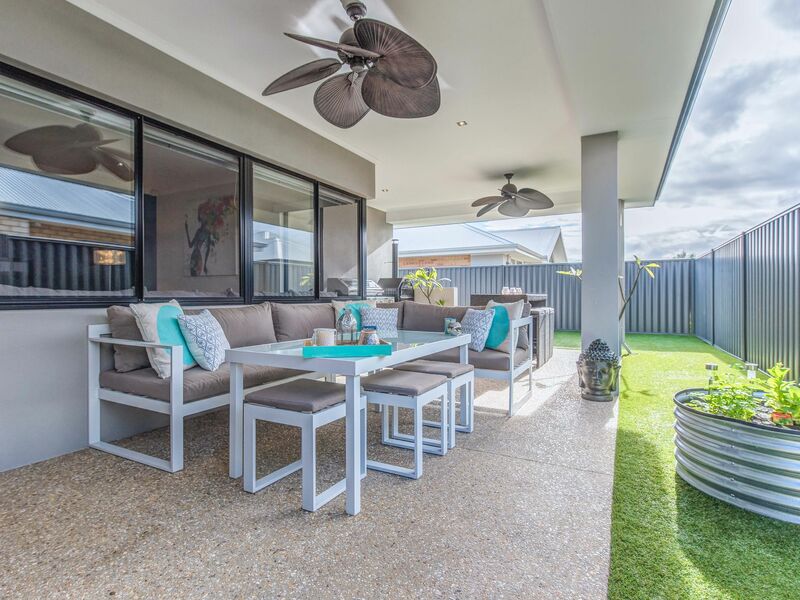 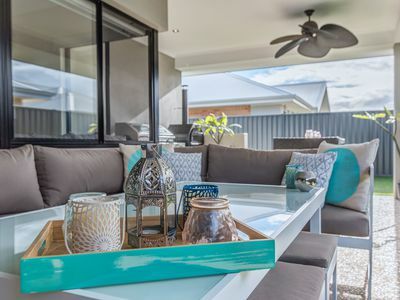 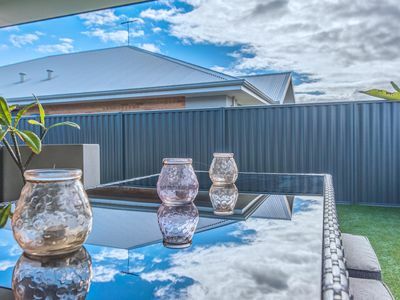 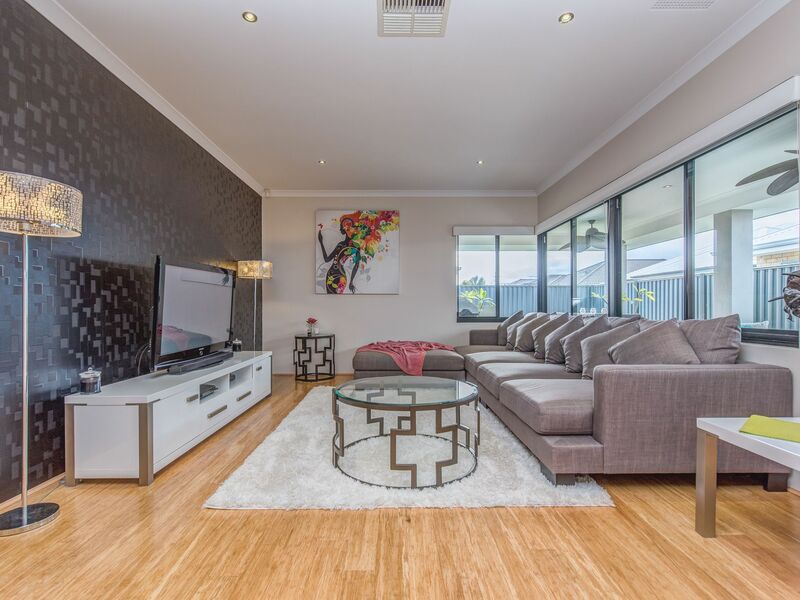 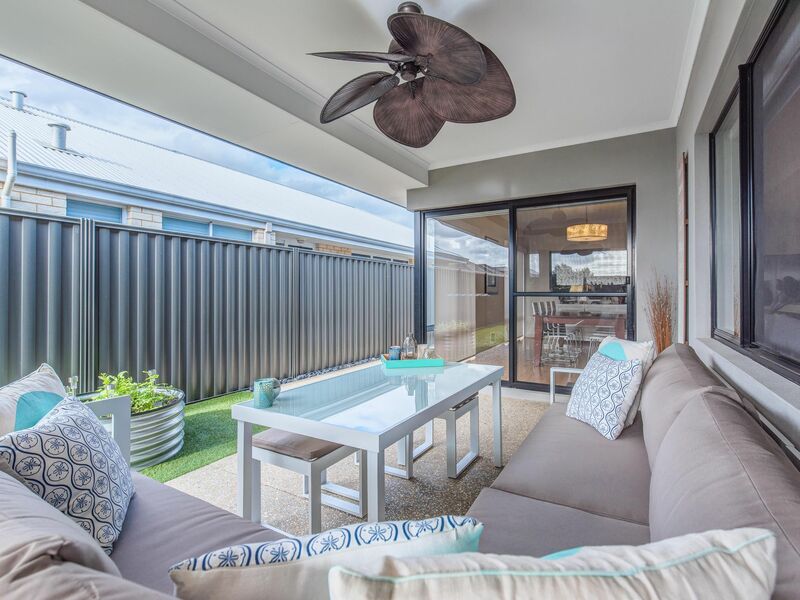 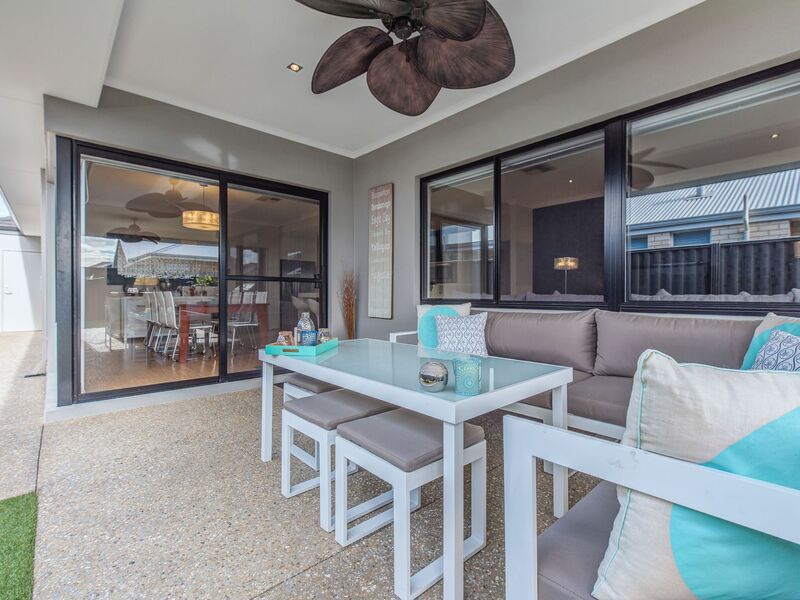 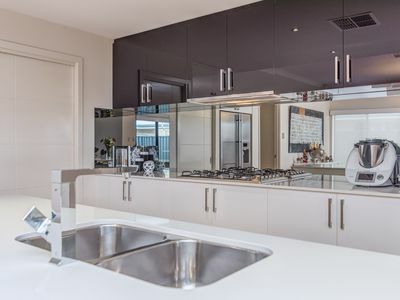 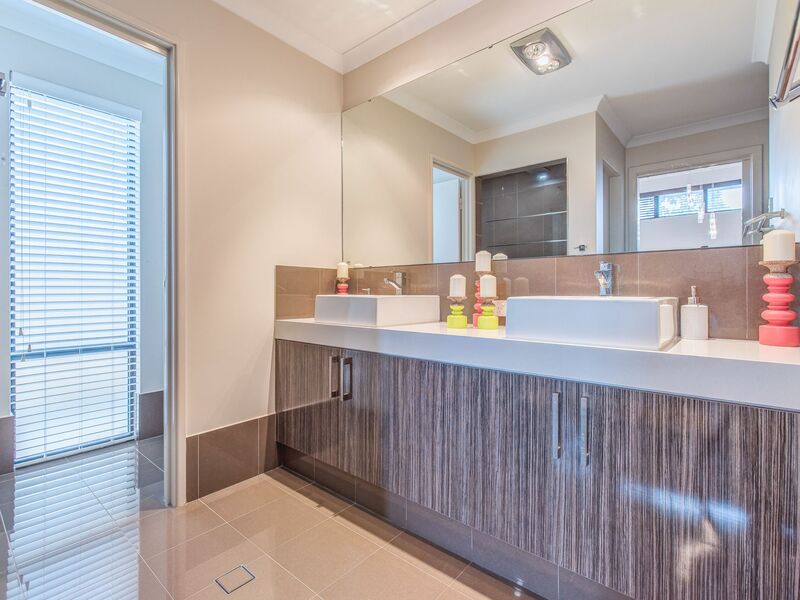 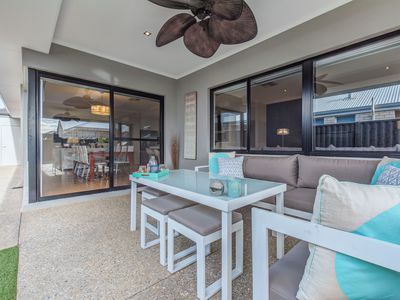 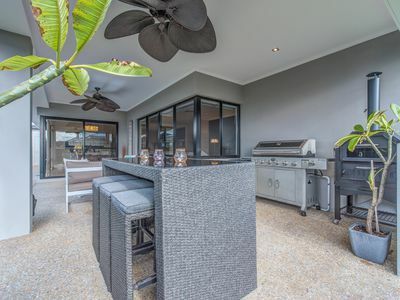 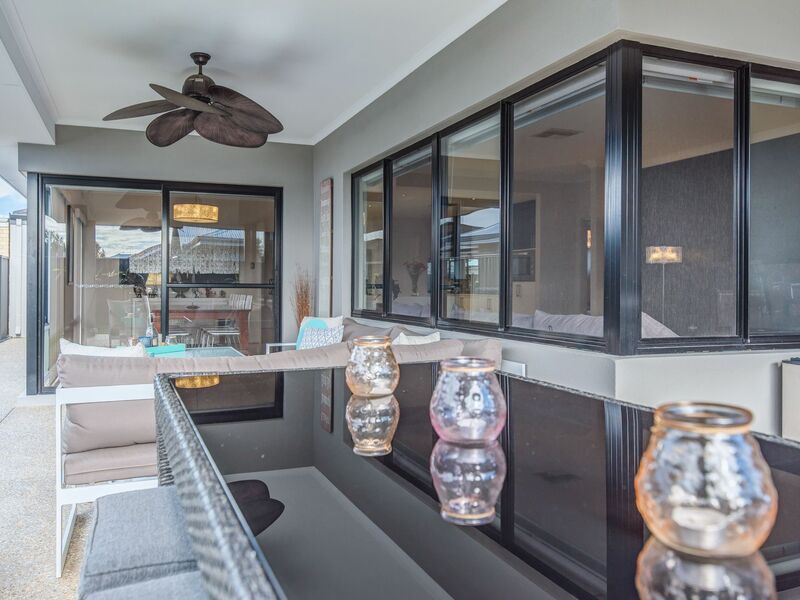 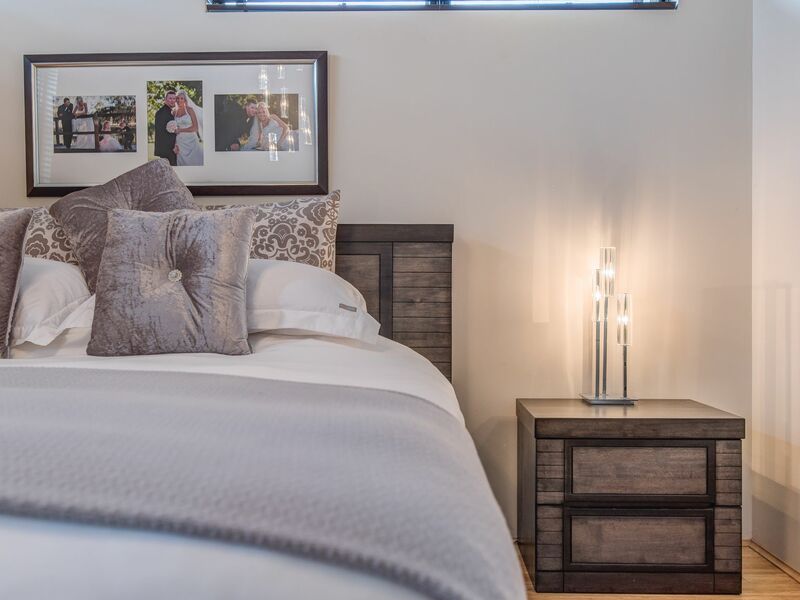 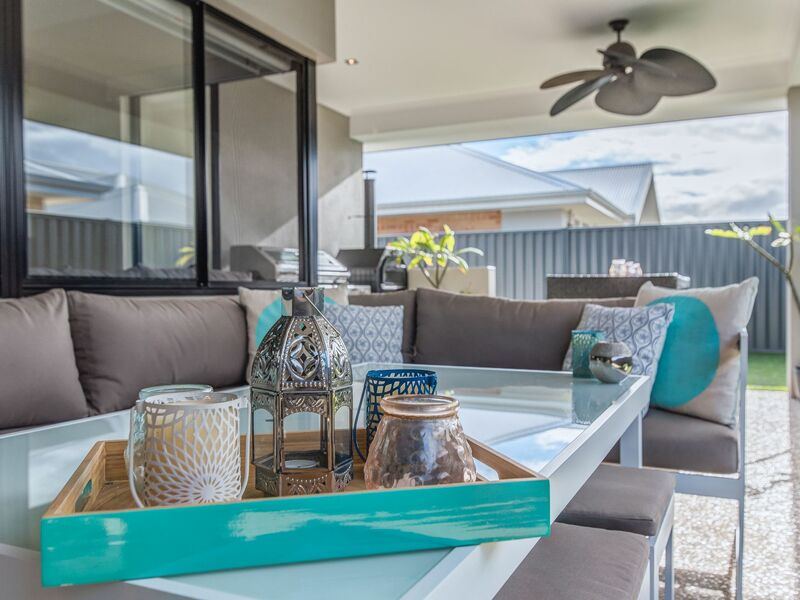 The quality and style of this Ventura built home will be apparent as soon as you step inside this modified version of the original Shangri-La Display home and showcases the finest fittings and furnishings for a first class yet easy-care lifestyle. 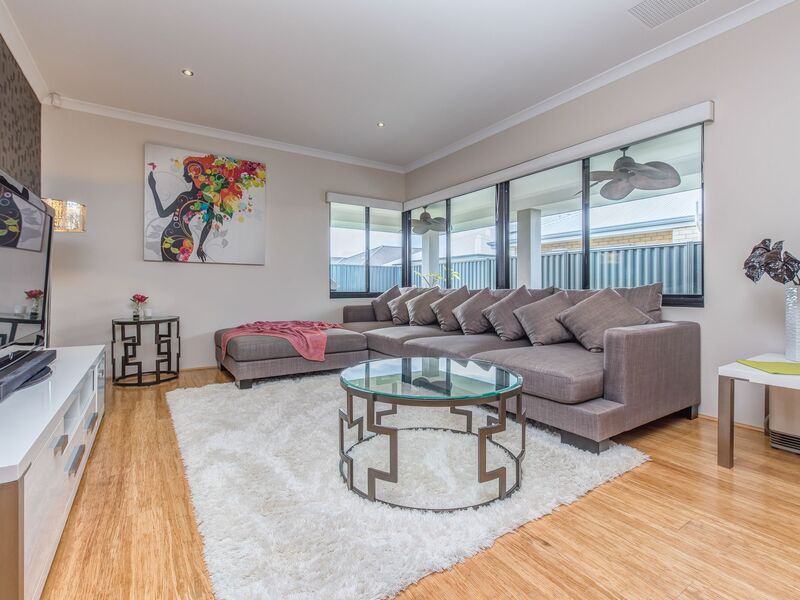 CLASS and ELEGANCE and 100% finished and ready for you this stunning home features 4 huge bedrooms, master with soaring 35 course high ceilings and a fully fitted dressing room, 2 designer bathrooms, separate home office that would make an ideal beauty therapy or massage room, an IT zone and a dedicated home cinema room which is ideal for family movie nights. 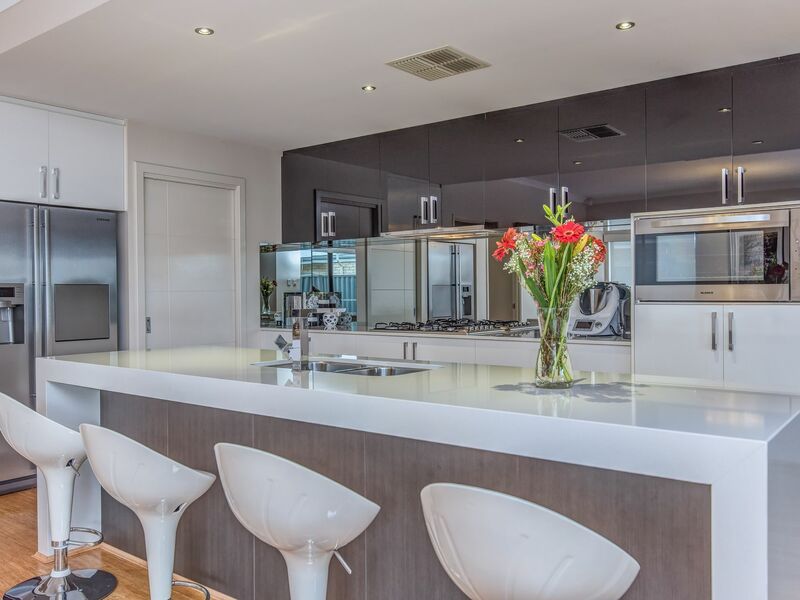 The kitchen is magazine worthy and was nominated as a finalist in the 2014 Kitchen and Bathroom Housing Industry Awards. 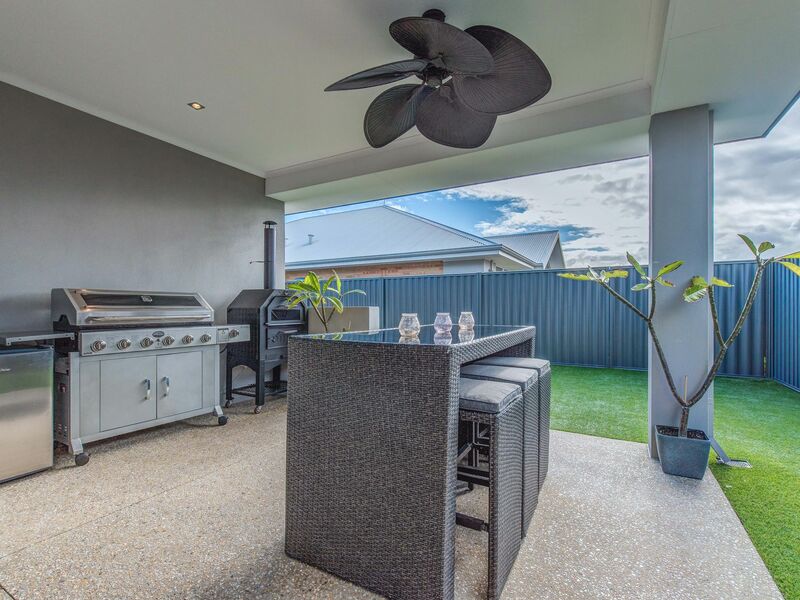 Boasting solid Essa stone counter tops, glass mirrored splash back, soft close draws and high gloss cupboards, fridge plumbing and top of the range European cooking appliances....This area definitely forms the hub of the home and overlooks the large dining and living areas which adjoins the large outdoor alfresco with twin ceiling fans and gas bayonet. 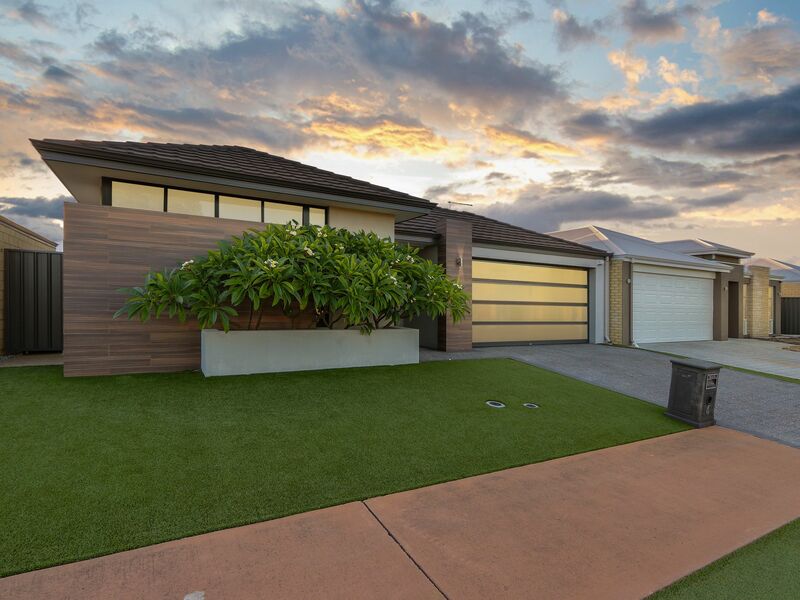 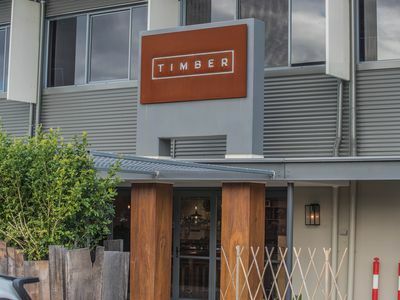 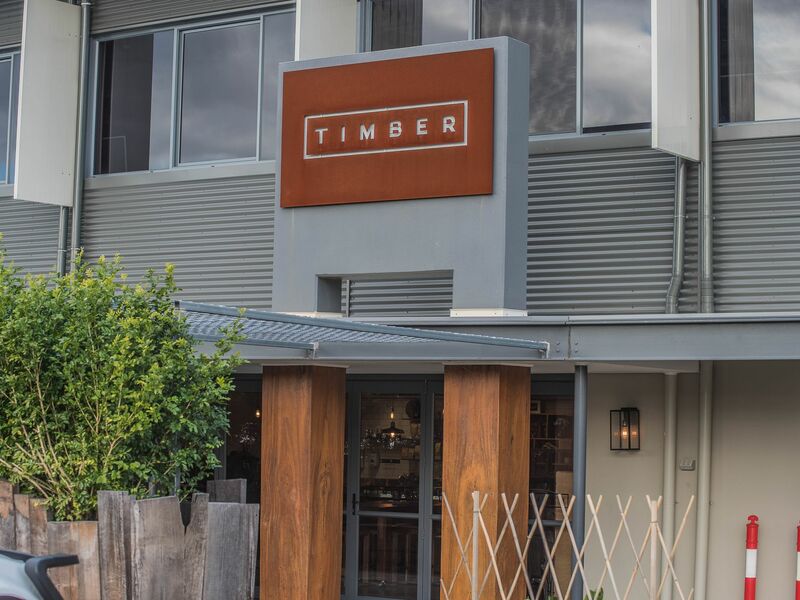 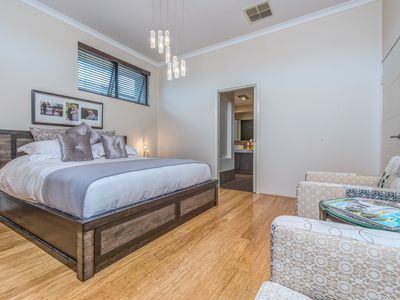 Some bonus features include extra high ceilings and bulk heads, stunning lighting throughout, a solid entrance pivot door, quality bamboo flooring, internal and external perimeter alarm system and ducted air conditioning. 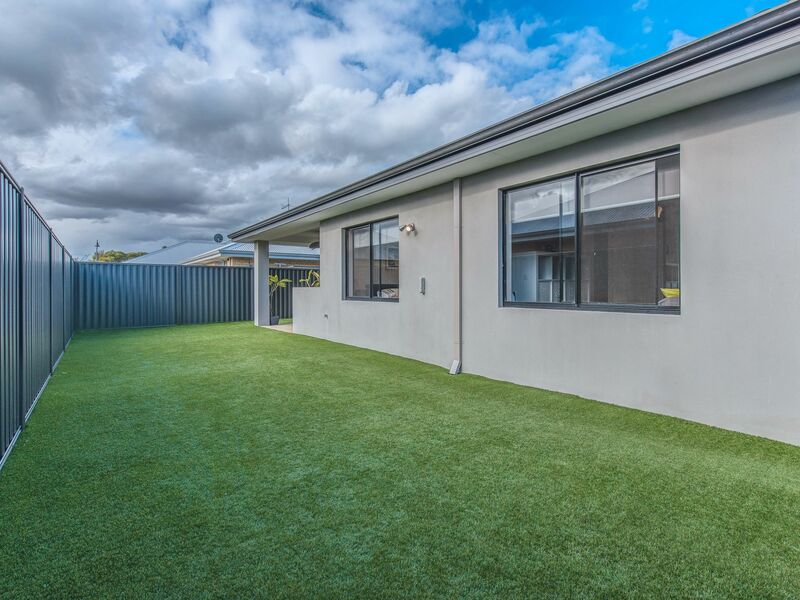 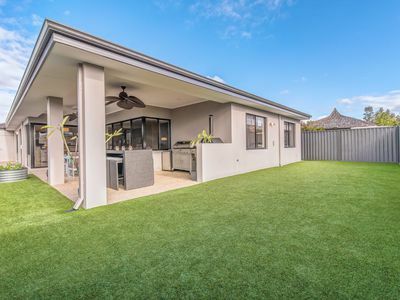 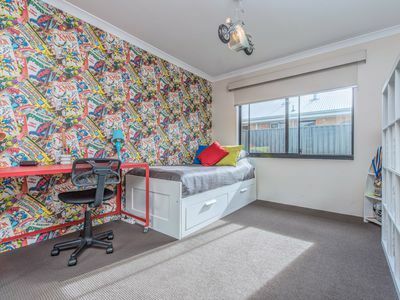 Externally the property has quality, low maintenance artificial grass and exposed aggregate paths and driveway making it the perfect lock and leave home.